The Downtown Corvallis Wine Walk, presented by the Downtown Corvallis Association, features some of Oregon's premier wineries, offering samples of their finest vintages. DCA-Member retailers throughout downtown Corvallis host Oregon wineries and distillers with representatives on hand to discuss their beverages and answer your questions on March 16. Downtown businesses will offer tempting appetizers along with music and/or artwork by local artisans. Admission is $15, and glass sales begin at 2 p.m. at Footwise, the Clothes Tree, Sibling Revelry, the Toy Factory, and the Inkwell Home Store. This is a cash-only event. 🗺️ Download and print the Downtown Corvallis Wine Walk map here. 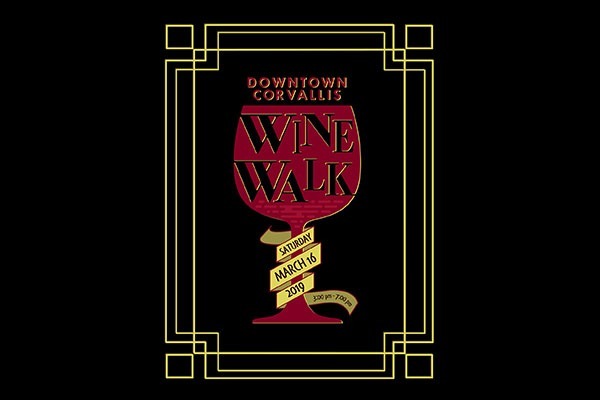 🏨 The Courtyard by Marriott Corvallis is offering a special rate this weekend for the Downtown Corvallis Wine Walk. Mention the "Take the Elevator Home rate" at the front desk or by phone and get your rooms for $99! Learn more at this Facebook event and www.DowntownCorvallis.org.